Paul has been upgrading his home for the past 5 years, which has turned into a labor of love (proof that learning is a lifelong journey). If you ever encounter a banging noise in your shower and can't determine where it's coming from, the culprit might be the water coupler. If you ever encounter a loud banging noise in your shower, don't look behind the curtain. 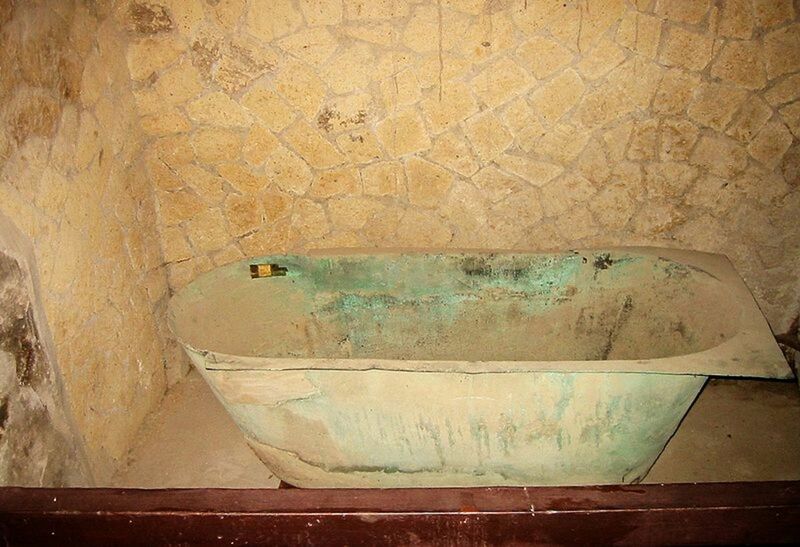 I had just finished renovating my bathroom, including installing new shower plumbing, new tub, fresh ceramic tiles, and the works, and everything looked and worked great. I actually have two bathrooms back-to-back, and now started work on the second bathroom. You might question my sanity renovating two bathrooms one after another, but I'll leave that topic for another day. The second bathroom was a conversion from a tub-shower to a shower surround. I had removed the old bathtub, removed all of the old ceramic tiles, and opened up the wall where the shower hardware was located. I had purchased new shower hardware and hired a professional to perform the install. After the new shower hardware was installed, the installer had tested the new shower hardware for leaks and everything looked good. Seeing as I had just finished the first bathroom reno, I was in no rush to begin immediately on the second bathroom, which was a good thing. The next day we noticed that whenever we shut off the water taps on the first bathroom, there was a banging noise. At first, the noise was subtle. But as each day passed, the noise got louder and louder. In fact, the same noise was heard when flushing the toilet and also when turning off the water in the shower. The banging noise sounded like two pipes were banging together and always occurred when the water was shut off. 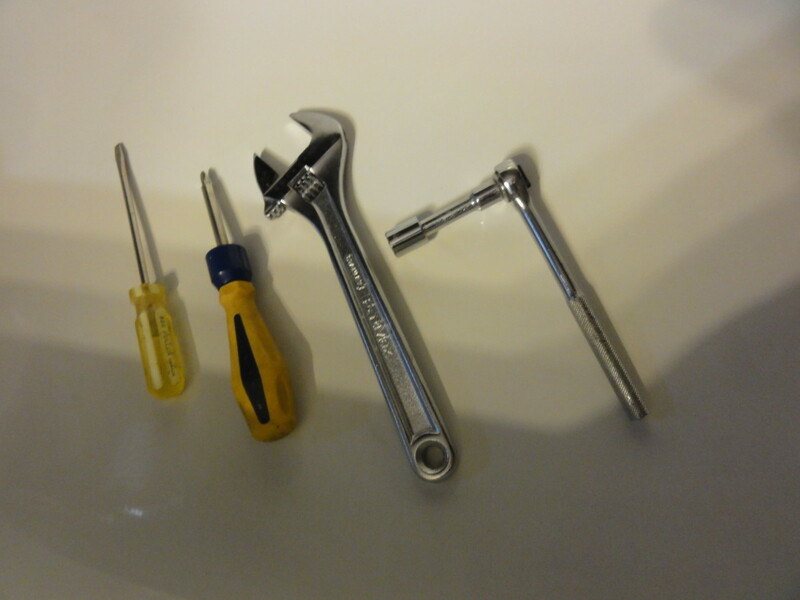 Here are the tools you will need to fix noisy shower hardware. I figured I better check out these noises, especially since we were now down to one functional bathroom. The first thing I thought of was perhaps there were a few pipes banging together whenever the water was shut off. 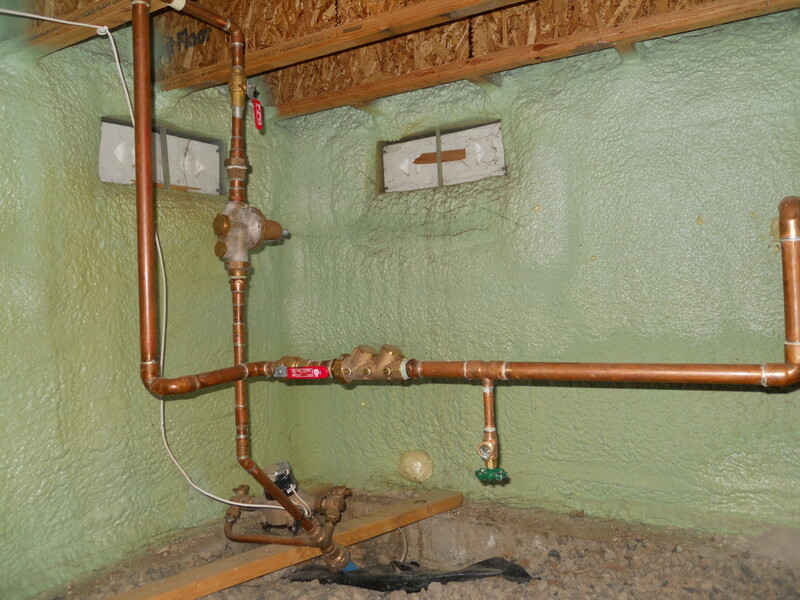 Since both bathrooms share a common wall for all plumbing, there is a bit of a maze of copper piping. The wall in the second bathroom was still open from when the new shower hardware was installed. So I took my flashlight and looked inside the wall cavity for any pipes that may be in need of securing. I could not see any thing loose. I had my family flush the toilet and turn the shower on and off repeatedly in the first bathroom, so I could listen to the noise in the wall and see where it was coming from. Since I was renovating the second bathroom anyway, I figured I would open up the entire wall so I could pinpoint the area where the banging noise was coming from. I finally determined there were in fact no loose pipes knocking against each other or on the wood studs. But the noise was coming from the first bathroom's shower hardware. Interesting, as this was absolutely fine until the second shower unit hardware was installed. So I called in a plumber to check out the new shower hardware in the first bathroom. 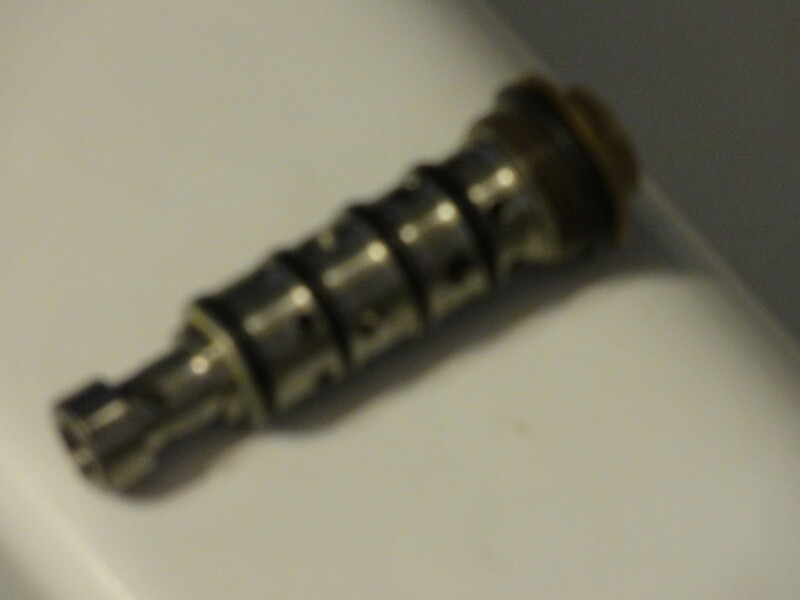 He disassembled the shower hardware and pulled out the "cartridge", a replaceable unit. He didn't have a spare to match our hardware but said I could get one at any local home hardware store. Disassembly: Remove the cap from the shower handle. Disassembly: Remove the shower lever (one screw). Disassembly: Remove the outer sleeve. Disassembly: Remove the cover plate and two screws. I bought a new cartridge and replaced the part myself, but the noise was still there. I took apart the shower hardware again, and this time dove deeper inside. There was another little removable part to the left of the cartridge that looks like a small flute. It's made of metal and cylindrical in shape, with holes strategically placed around its shell. I removed this part, and then re-inserted it into the shower hardware and reassembled. When I tested the shower, the noise was finally gone. 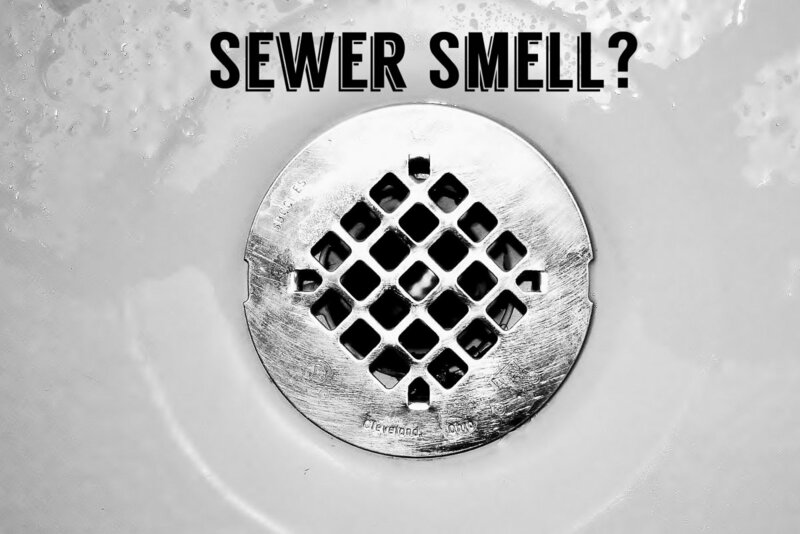 If you ever encounter a banging noise in your shower and can't determine where it's coming from, do not open up your walls or call a plumber. Simply open up the shower hardware and remove and re-insert the components illustrated. 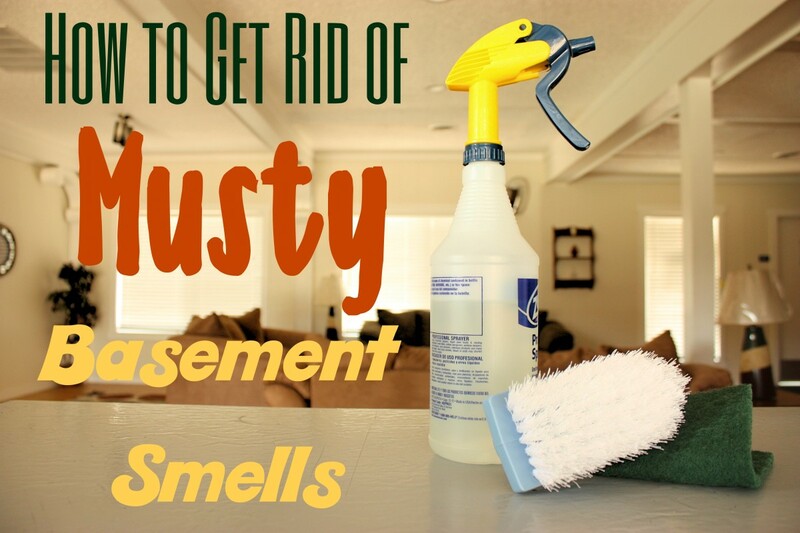 This will save you and your family a lot of grief. There was likely an air lock inside the shower hardware, which in turn caused the banging noise whenever the water valves were shutoff. The air lock may have been caused when the new shower hardware was installed in the second bathroom, or maybe that was just a coincidence. Disassembly: Shut off the water screws and remove the cartridge. Disassembly: Remove the water coupler. 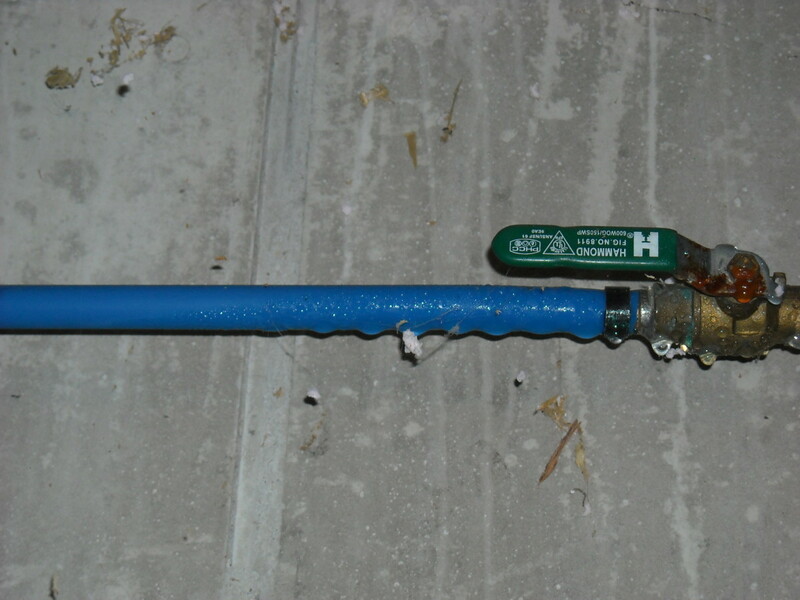 If you have noisy shower pipes, the water coupler may be the cause. 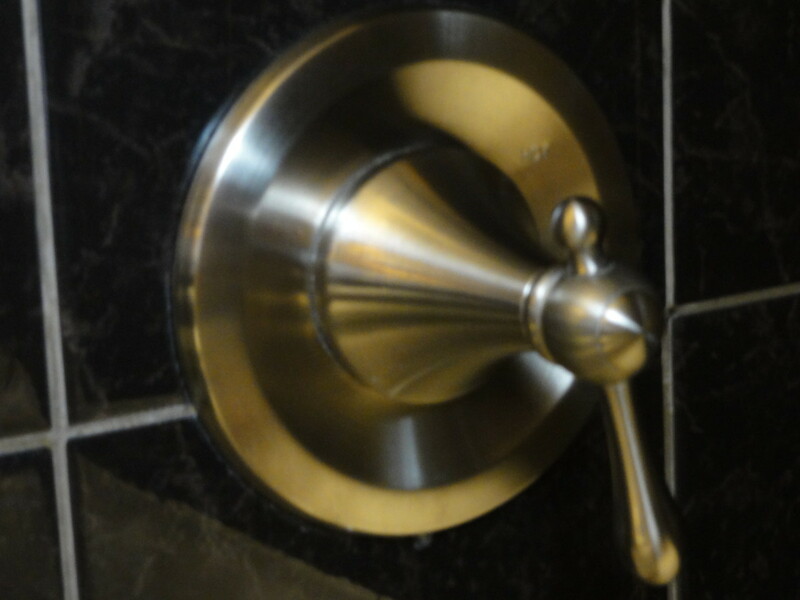 There are just a few simple steps required to disassemble the shower hardware, also illustrated in this article. 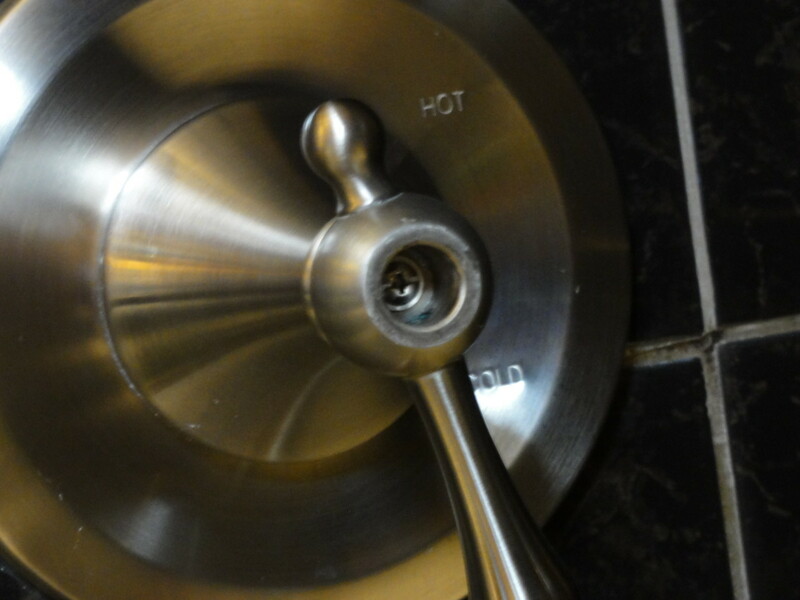 First, remove the cap off the end of the shower lever. In my case, I could easily remove this by hand with a little twist action. 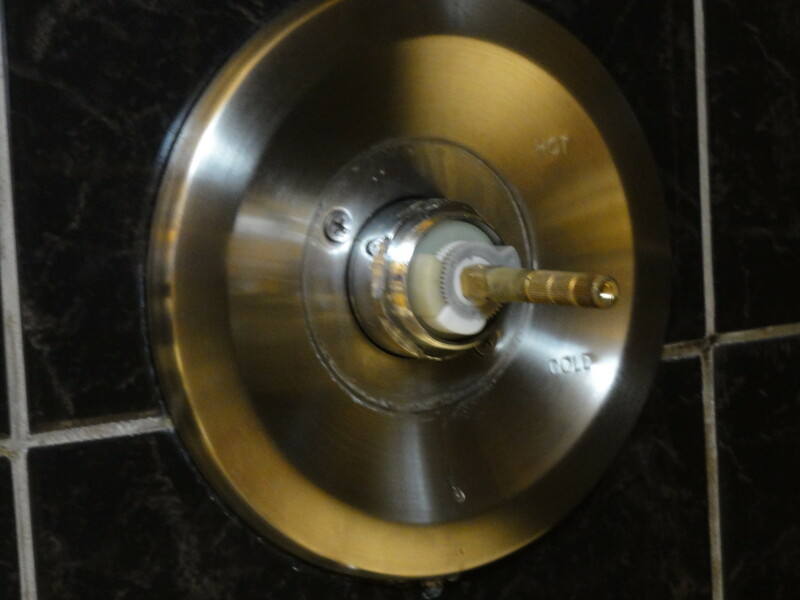 Once the cap is removed, remove the screw that secures the shower lever. Note: Never place any parts or tools directly on the bathtub or other porcelain-like objects, as they could get easily scratched. 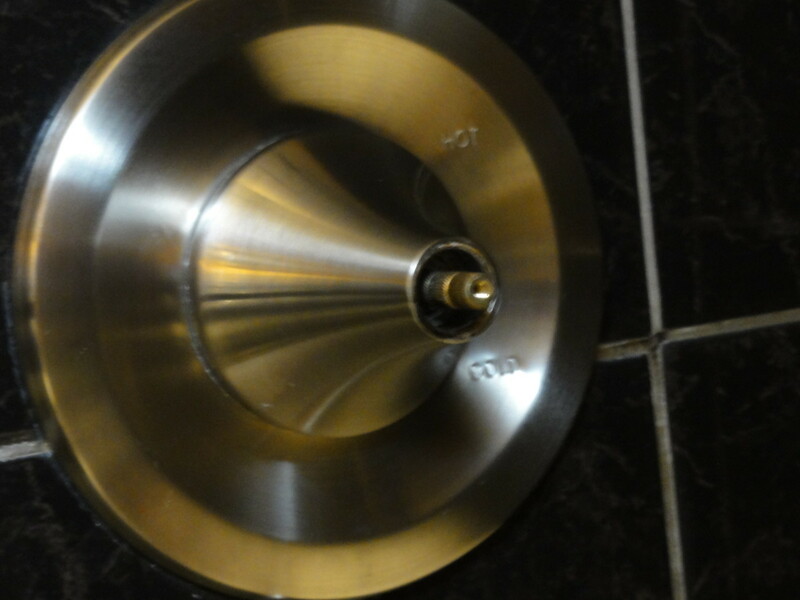 The shower hardware sleeve or outer casing can now be removed by simply unscrewing the sleeve unit. Once the outer casing is removed, there should be at least two screws visible, which hold the cover plate to the wall. Remove these two screws and the cover plate. With the cover plate removed, you should see two valve screws. These are water valve shutoff screws and must now be closed before removing any more parts. 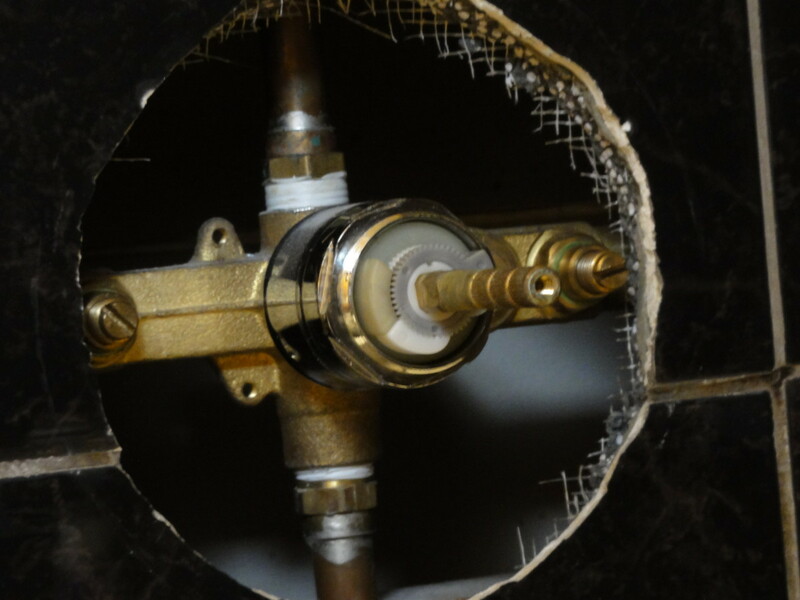 Close the water shutoff valves by turning these screws clockwise until they can turn no more. If you have an older shower hardware unit, there will be no set screws. 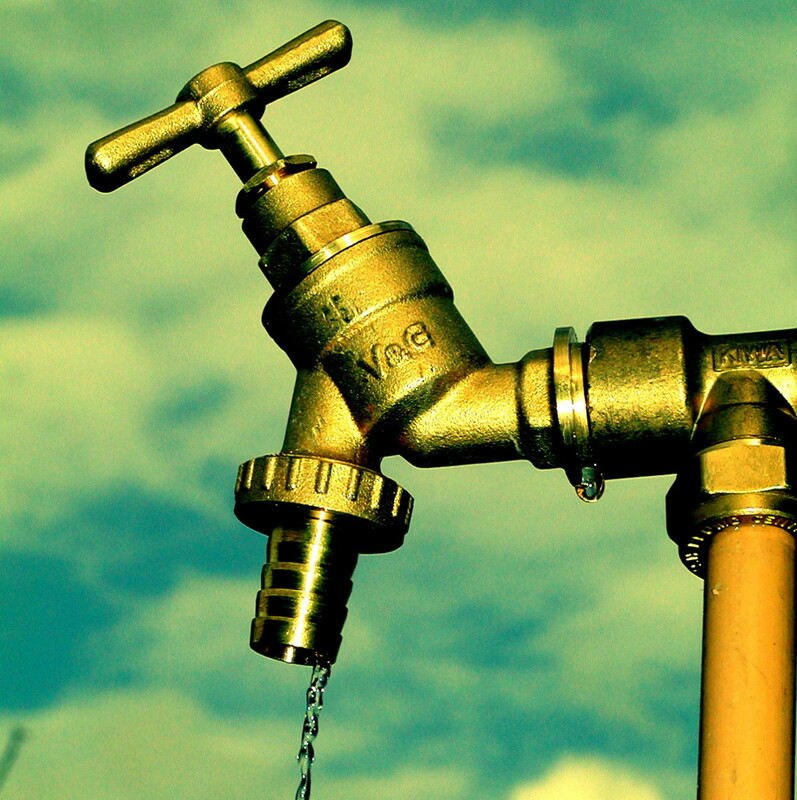 In this case, shut the water off at the main water valve for your home. 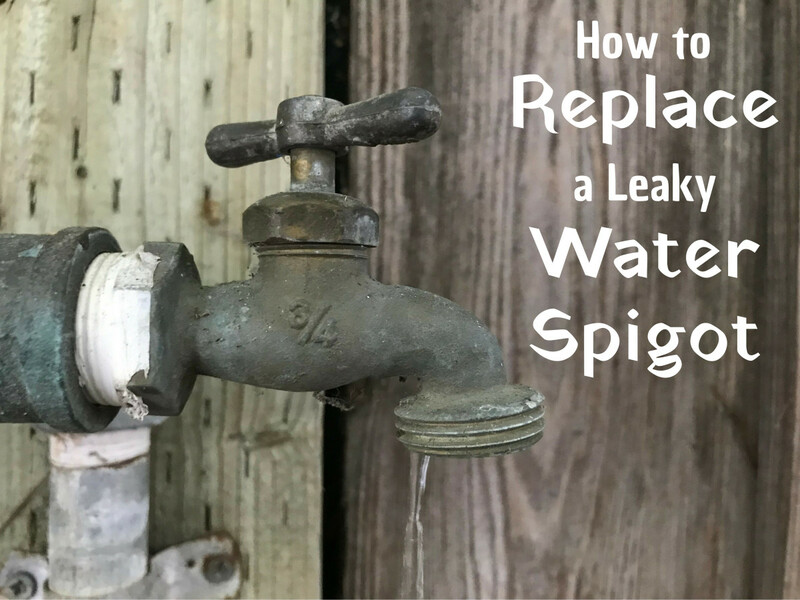 Once the water has been shut off, either by the two set screws or your home's main water valve, pull the cartridge out of the hardware. Sometimes this unit may need replacement. In my case the problem was an air lock in the water coupler. Locate the water coupler beside the cold water line. It is hidden behind and connected to a large screw. Remove the screw and the coupler will follow, they are one. Simply reseat the coupler, and then reassemble the shower hardware in the reverse order. 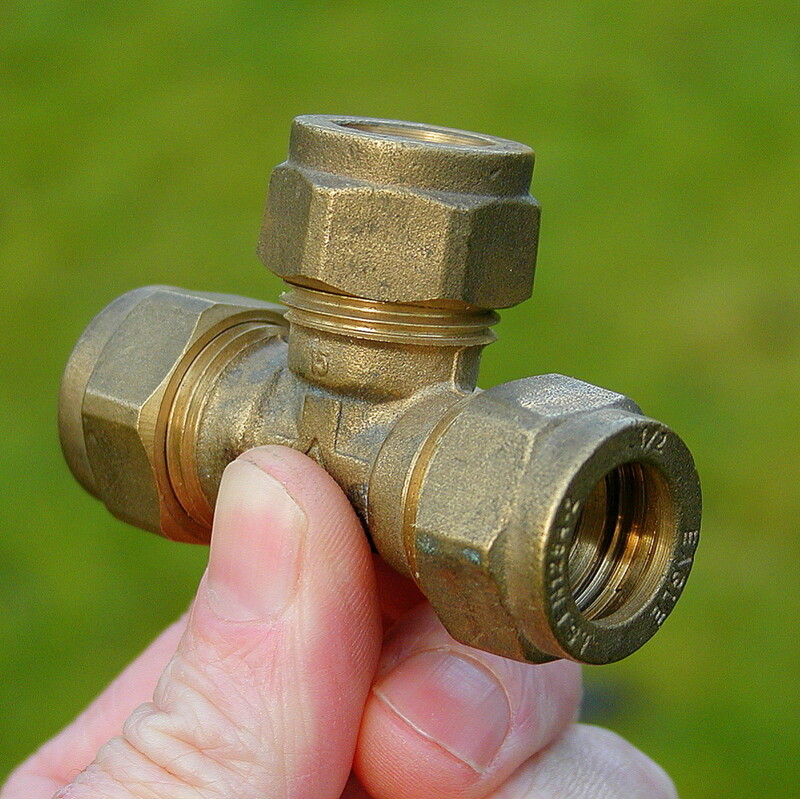 Don't forget to turn the water valve set screws back on fully once you have the coupler and cartridge back in place. Carcro: Very nice! What a seamless coordination of user-friendly text with persuasive photos of the materials, the process and the results! Thanks gina2, I always like to figure out how to do things, I may hire a contractor to do some work, but I will watch how they get the job done and then try it myself next time. In some cases especially with the stone work, I simply asked a lot of questions at the suppliers stores, it gives one a great feeling of accomplishment to do it yourself. And lets face it, a lot of the work wouldn't get done if I had to hire someone, as you said it would be too expensive. Have a great Day! Thanks for the comment on my hub, you also have tips on bathroom renovations and maintenance, no wonder you are brought to my hub post.Hehehe, nice tip, but fixing a shower needs a professional assistance such as a plumber. It's a good thing to have instructions such as these. It is a great help to people who's only assistance is through the internet and can't afford to hire a plumber. Cheers! Thanks for reading and commenting agvulpes! Its good to know how some of these things in the home work, for sure. I definitely feel more confident when I can resolve problems myself, especially around the house. Thanks umakeit for reading and commenting on my hub! I'm just a novice, but thought since I had to take the shower hardware apart, I might as well share my experience, maybe save others some of the frustration I went through. Good info. I used to repair my piping whenever there is problem. You seem to be too good for me. Thanks for sharing. Most welcome Highvoltagewriter! Thanks for reading and commenting. I love when I learn something new, reading hubs has certainly increased my knowledge on everyday things. Oh yes, those banging pipes! A real nuisance, and I just learned something I did not know! Thanks a bunch, for helpful hub! Thank you Carrie for reading and commenting on my hub, also voting up! hey carco that's a nice step wise photograhy and description! i guess all those who have been here will no longer need plumbers to fix their showers. Vote up!! Thanks for reading Stoneage2010 and the kind words. Believe me, those noisy pipes drove me crazy for weeks and weeks, I was so glad when I finally figured it out, really hopes it helps some other non-plumbers! Nice information from you. You are a great plumber...hahaha. I also love the illustrations above. It reflecting your description. Thanks for share with us. Up and useful! What a wonderful and creative Hub. I truly injoyed reading.Rated and voted. I do not know what a noise suppressor is for a water line, but I would definitely call the plumber back and have the situation remedied. 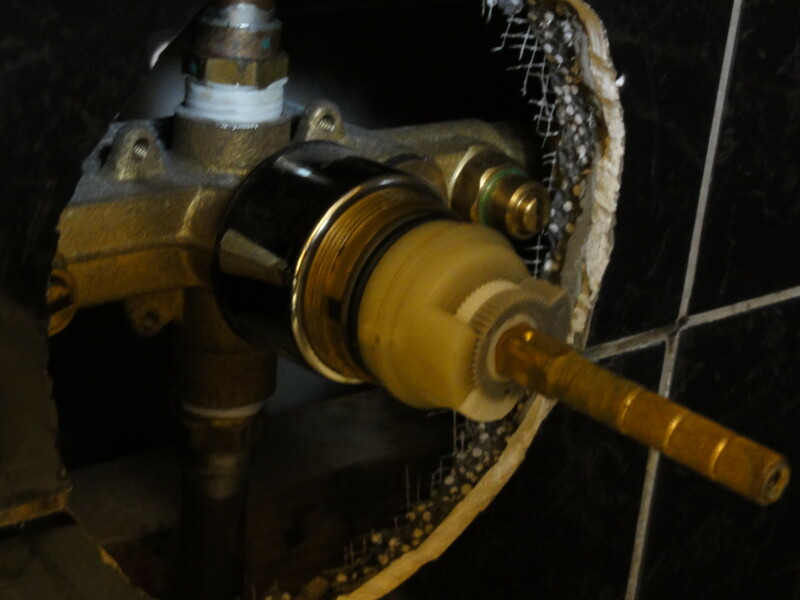 Very easy to remove the bonging noise of the shower pipe. Call the plumber to remove this funny noise. Thanks Cloverleaf, I hope this helps resolve your pipe problems too, those nasty air locks - who'd have thunk? This can also happen when the main water is turned off for the home. 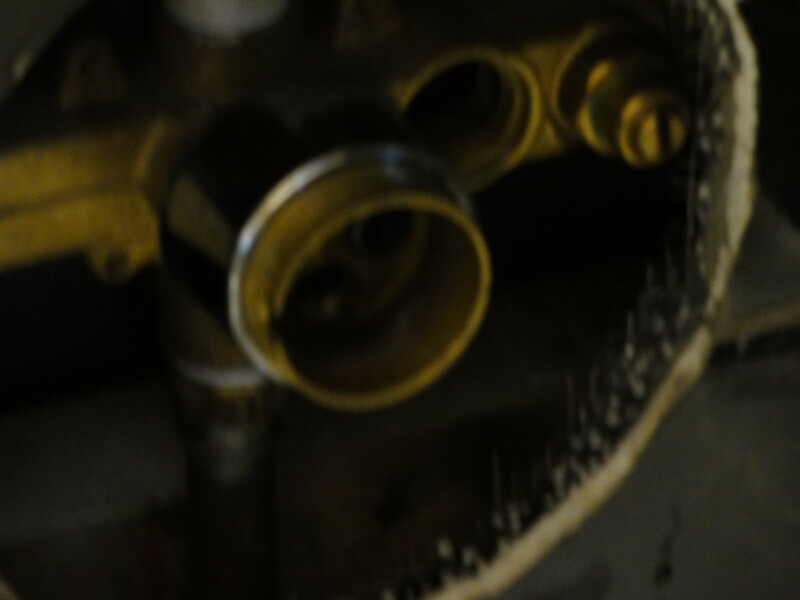 Air locks can get into the pipes, sometimes the only way to get rid of them is to open up the plumbing. Thanks for Voting Up too! Thanks K9, I hope this does resolve your friends pipe problems too. Thanks for reading and the great comments! Carco, we have very noisy pipes, especially during the winter. I'm going to get my husband to read over your hub later on. Thanks for the information! I've never been in a place with loud pipes before, but I'd sure be flummoxed as to how to fix the problem! What a helpful Hub this is! You might have had a nightmarish time renovating two bathrooms at once, but at least you're super savvy! I am sure that many folks are going to put this to good use, carcro. Thanks a bunch rsusan, there is nothing like ones own experiences. The noise actually drove me nuts, I was so glad to finally find the problem, and the solution was so easy. Helpful hub, carcro! Voted up and useful. Your pics and howto detail are clear and easy to understand. I haven't had the need for this, but who knows...someday.